Tougher conditions call for tougher equipment, which is why the Sprinter 4x4 comes with reinforced stabilizers on the front and rear axles. Requires the use of ultra low sulfur diesel fuel. Mercedes-Benz Sprinters are approved to use B5 biodiesel (approved diesel fuel with a maximum 5% biodiesel content) in all BlueTEC engines. The only approved biodiesel content is one that both meets ASTM D6751 specifications and has the oxidation stability necessary to prevent deposit-/corrosion-related damages to the system (min. 6h, proven by EN14112 method). Please see your service station for further information. If the B5 biodiesel blend does not clearly indicate that it meets the above standards, please do not use it. 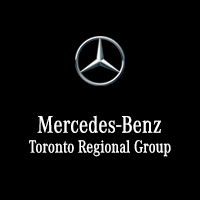 The Mercedes-Benz Sprinter New Vehicle Limited Warranty does not cover damage caused by non-Mercedes-Benz approved fuel standards. No system, regardless of how advanced, can overcome the laws of physics or correct careless driving. Please always wear your seat belt. Performance is limited by available traction, which snow, ice and other conditions can affect. Always drive carefully, consistent with conditions. Best performance in snow is obtained with winter tires.